[06/13/2017 @ 2:24 PM] Book this fare on: Priceline, BookingBuddy, Travelocity, Expedia, Orbitz, Hotwire, CheapTickets. [06/19/2017 @ 1:23 PM] Deal is back on. [06/20/2017 @ 12:58 PM] Price dropped -$10 to $134. Was $144. [06/20/2017 @ 3:38 PM] Most fares are gone (a few left). Removing from deal list. 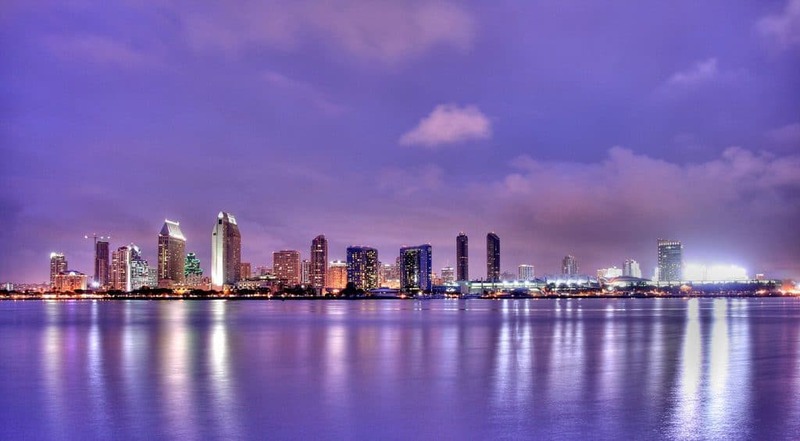 Delta has round-trip flights from Houston (IAH) to San Diego (SAN) for $134, with a connection. Flights scattered from September 2017 to March 2018. Holiday blackouts apply. Origin/Destination reversible. Note: Fare is Basic Economy, no advance seat selection, boards last, but still allows a free carry-on and personal item. 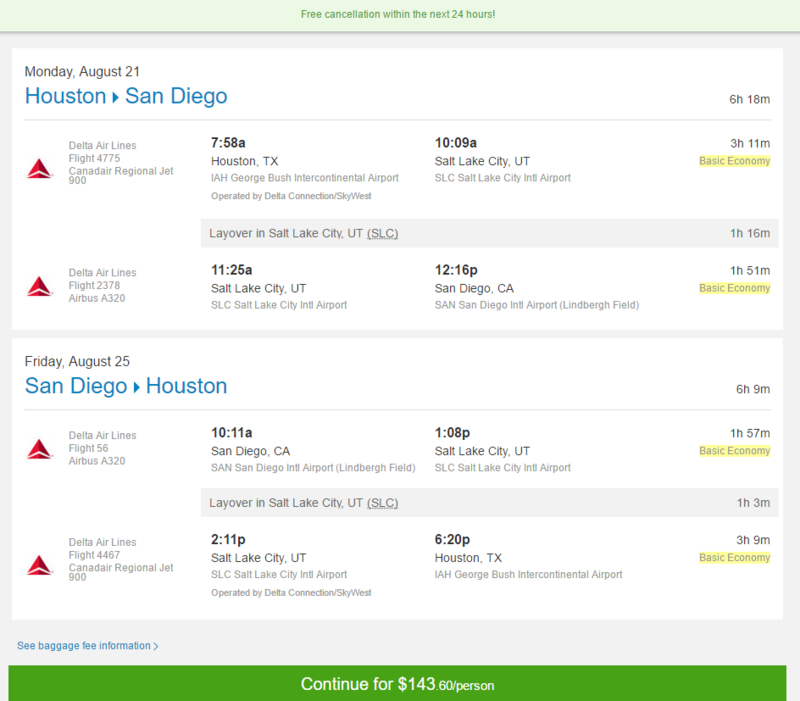 Regular economy fare is available for +$15 more each way. Note: You’ll want to route through Salt Lake City (SLC) for the shortest total travel time. Example Dates: (BookingBuddy / Priceline) Aug 21 – Aug 25 / Sep 07, 09 – Sep 12 / Sep 12, 13 – Sep 16, 19, 20 / Sep 19 – Sep 21, 26 / Sep 23 – Sep 26 / Sep 23 – Oct 03, 04 / Oct 07 – Oct 11 / Oct 17 – Oct 24, 25 / Oct 28 – Oct 31 / Nov 02, 04 – Nov 07, 08 / Nov 07, 08 – Nov 14, 15 / Nov 15 – Nov 23 / Dec 01 – Dec 03, 04, 08 / Dec 08 – Dec 11, 18 / Dec 11 – Dec 18 / Blackout: Dec 19 – Jan 04 / Jan 05 – Jan 09 / Jan 27 – Jan 30 / Not much in February / Feb 27 – Mar 06 / Other dates: There are more dates available than the ones we list here, experiment on your own. I was able to pull this up on Priceline. Screenshot taken at 03:56 PM on 06/13/17.